Cruise down the canals in this narrowboat, the boat "Reedley Duck" is a narrowboat belonging to the boat-yard Reedley, and is good for exploring the Leeds & Liverpool Canal. Reedley Duck sleeps 6 people, with the bedrooms laid out as 3 double, 2 double and 2 single, 1 double and 4 single or 6 single. You control this narrowboat from the tiller steering position. You can charge your devices from the 12v socket - suitable for mobile phones. Stay warm with the central heading on board. • All the bed linen is available on Reedley Duck. Keep things spotless with the vacuum cleaner. There are fitted carpets on Reedley Duck. You can watch TV while staying on this boat. You can watch some DVDs while staying on this boat. Bring your CD of "Born to be Wild" to play on the CD-player. Cruise while listening to the radio. Keep your hair in good order with the hairdryer. There is a safe on Reedley Duck. The 'cruiser stern' gives you more room on the rear deck on Reedley Duck. There is a shower for you to use on Reedley Duck. There is space to park your car before your adventure on Reedley Duck. This is the plan of Reedley Duck. To give you an idea of the size of your boat, Reedley Duck is 18.29m (60ft). Reedley Widebeam - at Reedley, in Leeds & Liverpool Canal. The Narrowboat above is Reedley Duck - in the Reedley region of Leeds & Liverpool Canal. 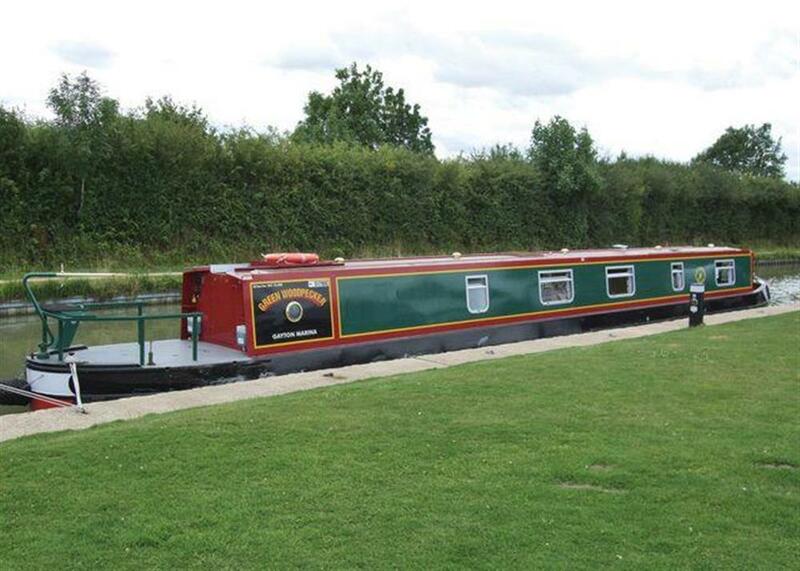 We've also listed several other boats in Reedley; or for a bigger choice, look at all the boats available in Leeds & Liverpool Canal. Hopefully you'll find something to suit your holiday needs!